Minibus Hire Reading is the leading provider of transfer services in Reading, Berkshire. For more than a decade, we have gathered incredible experience and used it to better our transfer services, almost-to-perfection. Trust that our well-established company is capable of meeting your transportation needs to and from a birthday party. Reading is home to exciting and attractive birthday venues like Cantley House Hotel, Lillibrooke Manor, Oakley Court, Pavillion, Matchbox, Crowne Plaza and the Sir Christopher hotel. 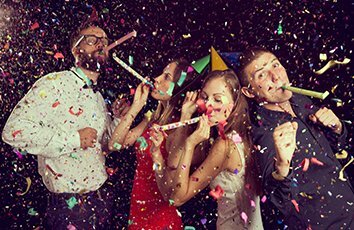 Be guaranteed that our drivers will safely drive you to the birthday party and anywhere else you might need to go, in Reading. Would you like to switch venues to a different club or bar? Our drivers will take care of getting everyone in the vehicle so that you can have a fun night. With us, you and your family or friends can live for the night, without worrying about safety. We believe that our work is not done until everyone is safely back home. Are you organising a kids’ birthday party? Feel confident to employ Minibus Hire Reading, and we will guarantee smooth transportation to and from the birthday party. We have a wide range of both standard and executive vehicles for hire.